Unopened Insulin can be stored in the refrigerator between 2°C and 8°C, once open insulin can be kept at room temperature. Please note that some insulins have different storage needs, always check your patient leaflet. It is important to always check with your doctor before travelling with your medicine. 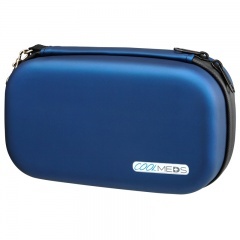 Safely carries insulin pens & vials - 1 gel pack incl.